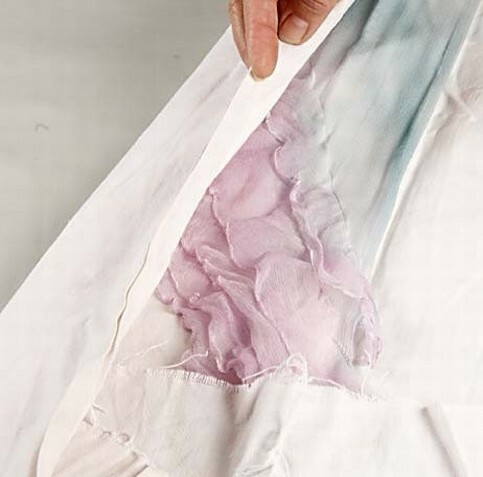 A ready-made chiffon scarf with frills and crinkled surface painted with water-based silk paint. 1. 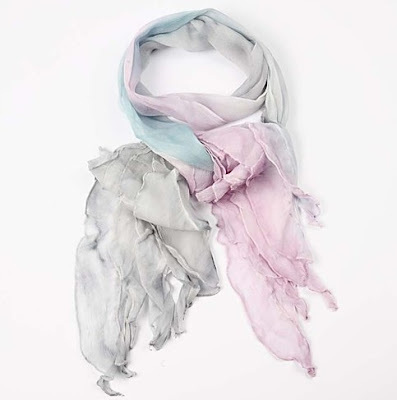 Put the scarf on a piece of polyester wadding and paint with very dilute water and colour blends. 2. 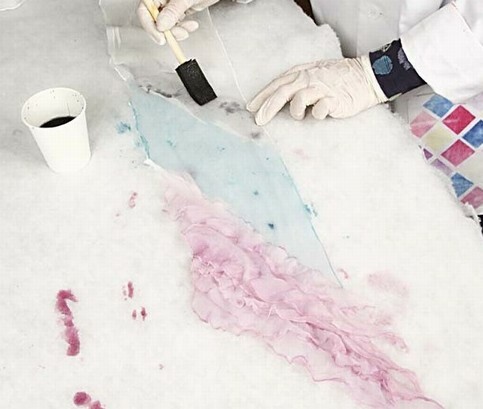 When dry, wrap the silk in cotton fabric. Silk should not touch silk. You may wrap the parcel in aluminium foil. 3. 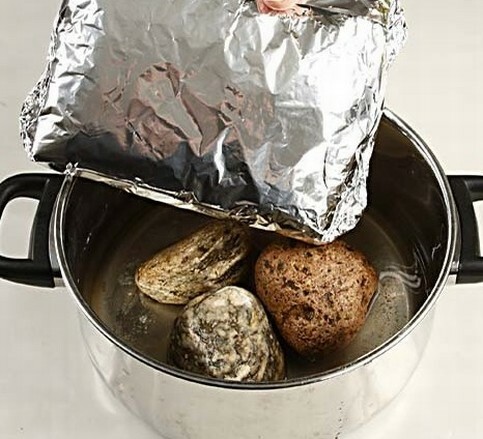 Put the parcel onto a stone in a pan with water at the bottom. Place a towel between the pan and the lid to soak up the condensation. Simmer for one hour, rinse and dry.